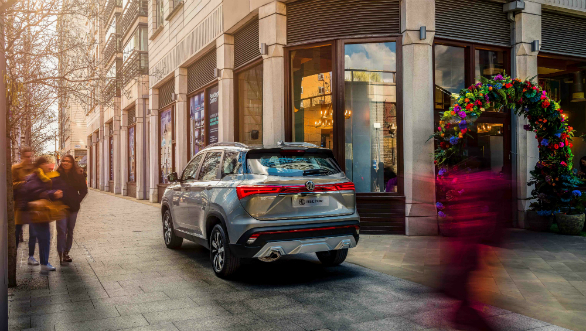 At the unveiling of the MG hector SUV's iSmart connected car infotainment system, MG Motor India also showed us official images of the MG Hector for the first time. Also confirmed were the new SUV's engine options. The Hector will get three engines at launch, two petrols and a diesel. One petrol will be a 1.5 litre turbocharged unit with 143PS and 250Nm while the other will add a 48V mild hybrid system to the mix. This will possibly allow for it to feature a start-stop system, regenerative braking and add torque fill functionality. The diesel engine will be the 2.0-litre FCA Multijet unit as seen on the Jeep Compass and Tata Harrier. The Hector will get it in the 173PS and 350Nm guise. Gearbox options are expected to be a six-speed manual and DCT. The Hector will have a similar footprint to that of cars like the Tata Harrier and the Hyundai Tuscon, but is expected to sport an aggressive price tag. Initially, only a five seater will be available, priced expectedly around the Rs 16 to 20 lakh mark when it launches sometime within the next three months. 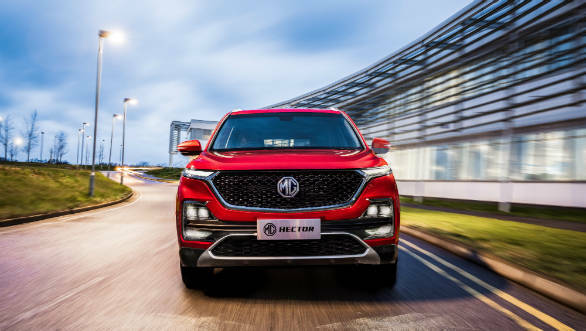 The styling is as expected, it shares much with Baojun 530 from China but with an MG-specific grille and mildly reworked headlamps. So overall, the car looks quite imposing with an angular, boxy theme. There is some prominent sculpting along the side while the rear follows into a set of quite sharp creases, dominated by large rectangular lamps. The Hector's tail lamps are connected by a red reflector band, unlike on the Baojun.